This past February 2011, The American Society for Training and Development (ASTD) signed a multi-chapter partnership with Wild Apricot, making our software the recommended platform for their membership management, website, and event management, and eventually replacing their current system. According to their organization, this decision was made, "based on feedback from chapter leaders requesting an easy-to-use, professional-looking, integrated management system for membership, website, and event registration services at an affordable price." 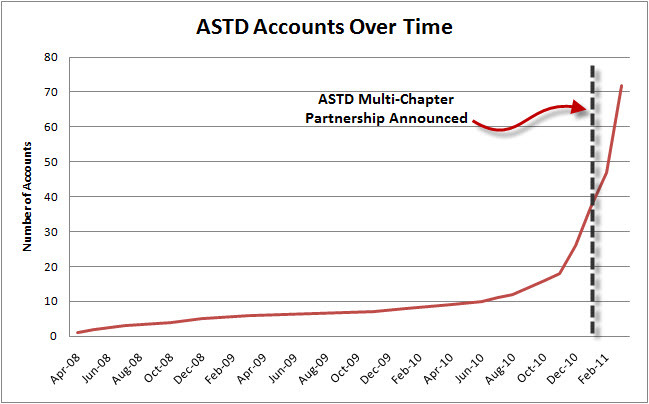 This is big news, considering that ASTD has more than 128 U.S. chapters! ASTD is the world's largest association dedicated to workplace learning and performance professionals, and Wild Apricot is honored to have them as our customer. "The biggest asset was member management. Our chapter was going through extensive growing pains, and we needed a member management package of some sort. I was looking for two major components. One was joining and renewal services with payment processing. The other was member self-management of their account." A few ASTD chapters followed the Central Florida Chapter to Wild Apricot in 2008, and a few more signed up in 2009 and 2010. While attending the ASTD National Leaders Conference in the Fall of 2010, Rick Kerner, President of the Eastern Pennsylvania Chapter, heard about Wild Apricot when another chapter leader mentioned it was a service they were using. Some ASTD Chapters have used Wild Apricot for a long time, and soon most of them will! "We had two websites before [Wild Apricot]. The first cost thousands of dollars and was difficult to use. Then we switched to ASTD's own portal system. It gave us a consistent look and feel, but required knowledge of SharePoint. Being a non-profit organization made up of volunteers, we don't always have tech-savvy people available to maintain the site. The Wild Apricot site has been a breath of fresh air to operate. We find it to be very friendly, intuitive, and easy to teach to almost anyone with virtually no programming knowledge necessary." "The big advantage of the membership management system is having ownership. Previously we needed to report our records to National and ask them to handle all of our updates and billing. And having event management tied in to the same system as membership with billing just makes record keeping a breeze!" With the decrease in administrative time spent on membership records, coupled with the simple Wild Apricot website builder interface to add new pages, Rick and his chapter are reaping the benefits of their new system. After initially opening their account in December 2010, the Eastern Pennsylvania Chapter upgraded their Wild Apricot account at the beginning of March 2011. Many current Wild Apricot users are probably aware of our online help documentation. It's just part of the reason that our clients consistently give us high customer support ratings, and we love seeing feedback about how our clients use it. Cami Best-Jones, who is the Project Manager for the Wild Apricot transition process, told me that "the Eastern Pennsylvania chapter [was] the first chapter to actually move over from our ASTD system to Wild Apricot. Rick Kerner is [...] an advocate for Wild Apricot among all of our chapters; he even offers assistance to chapters who are trying to determine if Wild Apricot is the best fit for their chapter and has developed an implementation guide specific to ASTD chapters." 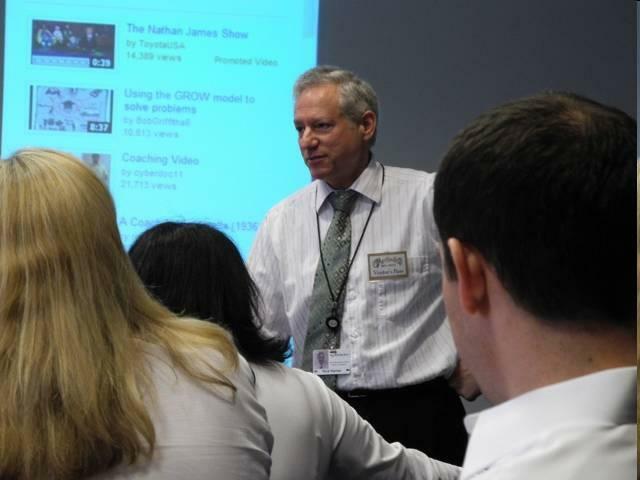 Rick Kerner: teaching in action! This implementation guide sounded intriguing, so I wanted to ask Rick a bit more about what he put together. "My source is always the Wild Apricot treasure trove of helpful information online. From that, I've written a simple step-by-step guide specifically with some best practices geared for our chapters. If other chapters reach out to me with questions, I'm very open and honest sharing the experience we've had in our own implementation. And I have become a huge Wild Apricot cheerleader! I think one of Wild Apricot's greatest strengths is that they build the system based on customer feedback." Wow! A customized chapter guide for best practices, made from our very own help documentation. That's pretty impressive! And it's true -- Wild Apricot loves to get feedback from our customers, and pull directly from the customer wishlist for future product developments. Is YOUR multi-chapter organization in need of a better software solution? Perhaps you're a current Wild Apricot customer that is a chapter of a national organization. Or, perhaps you're a national organization leader looking for a solution to recommend. Whether you're coming from the bottom-up or the top-down, we'd love to talk to you. Visit our multi-chapter pricing page for more information, then contact us via the form on that page so we can see if we can find a group solution that works for you. Do you use Wild Apricot in a unique or creative way? We're always looking for interesting client stories to share. If you'd like us to review your site in our monthly newsletter and on the Wild Apricot Blog, let us know! We'd love to hear from you. ASTD Sacramento uses Wild Apricot. After a journey that took us from Cvent to Tendenci/Schipul to Wild Apricot in less than two years, we feel like we found a winner. Very user-friendly and functions as promised. Thanks! Hey Tyler, thanks for posting, I am very happy to hear that, I can only imagine the effort you had to invest in research and setup!